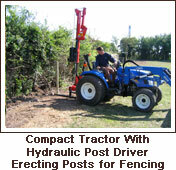 Fencing and Field Care is an extension of the services offered by LTL Landscaping, landscaping contractors based in Brigg. Established in 1991, trading throughout Lincolnshire, North Lincolnshire and North East Lincolnshire. (www.ltllandscaping.co.uk). As the owner and working manager of the business I have kept horses for more than 30 years and have always lived on small holdings with land, livestock and the responsibilities that go with their daily care and land management. I studied a HND in Agriculture at the Royal Agricultural College, Cirencester and have experience with dairy farming, sheep and other livestock as well as arable and grassland management. For any livestock owner a suitable stock-proof fence or enclosure is an important consideration and can be a significant expenditure. Where possible it should be specifically designed and constructed with materials to suit the characteristics of the animal it is intended to contain. In some cases you may want to keep vermin or other wild life out. 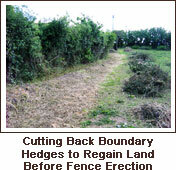 The investment in a new fence and its materials must be balanced against the continual repair and maintenance of an old or weak boundary, insurance claims and the potential risk of injury or loss of livestock. In the long term a correctly built enclosure with quality materials , can last a considerable period of time with little or no maintenance depending on the materials chosen . It should also serve to enhance the environment it is within. 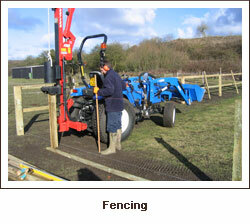 We offer the supply and erection of post and rail fencing, Lincolnshire fencing, horse fencing, stock fencing of all types, gates etc. Our grassland management services include weed control, topping, harrowing, rolling, fertiliser application and seeding. 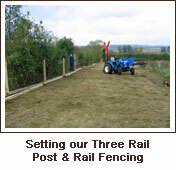 Hedge and tree planting complement these services and are already an established part of our landscaping business. Using the specialist equipment we have for our landscaping operations, we can offer modern efficient machinery & tractors for grass land maintenance and improvement, operating on low ground-pressure turf tyres to minimise disturbance. A long-established supplier network enables us to access quality fencing materials, grass seeds, fertiliser and planting stocks at competitive rates for all our work. We are also approved distributors for Tornado Wire fencing products, UK manufacturers for Agricultural, Industrial and Equine fencing that have been established for over 30 years. Approved distributor for Tornado Wire fencing products www.tornadowire.co.uk, who have been manufacturing and supplying Agricultural, Industrial and Equine fencing products for more than 30 years. Our aim is to provide a complete package and detailed quote for all prospective clients. 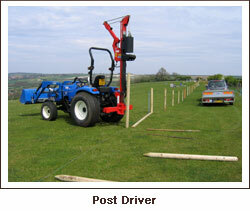 Call us now for a free site survey from LTL — the established fencing and field care experts.